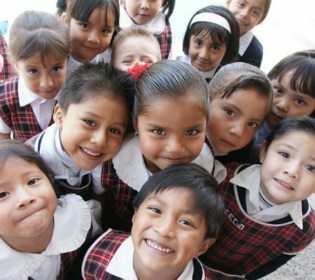 In Latin America, education is facing multiple challenges. Tremendous amounts of students are not finishing school – according to the Inter-American Development Bank, barely 40 percent graduate from the secondary school level across the region. Perhaps even worse, those that do complete school are not getting a quality education that prepares them for fulfilling and prosperous lives. International comparisons, such as the OECD’s highly respected PISA evaluations, are only one data point among many that show Latin America at the bottom of the education barrel. Given this reality, it is clear that we can’t maintain the status quo in Latin America and expect better results. Instead, we need education innovation in the classroom and in the way that every important stakeholder takes part in reform. This means promoting the involvement of new players, be they parents, private sector entrepreneurs, or other actors in the NGO or non-profit worlds. This assertion holds true especially for low-income communities and socially marginalized students, whose classrooms may see the most benefit from the cost savings and quality improvements that well-applied technologies can deliver. Technology can assist schools in delivering the kind of personalization and adaptive learning that could help kids at all levels achieve their best and fuel their appetite for further learning. We are now realizing that students must be lifelong learners in order to thrive in the global knowledge-based economy; the same should go for teachers, which is precisely where technology and Lingo Media can help deliver results. In order to capitalize on this opportunity with EdTech in Latin America, Lingo Media has been investing in new product development and working hard to establish itself as a leader in the industry in the region. With more than 600 million people, smartphone penetration that is forecast to increase from about 25 percent today to approximately 50 percent by 2018, an educational system that has fallen behind the developed world and a historical lack of accessibility, Latin America presents an interesting opportunity for those in the EdTech space and investors who believe that there are ideal conditions for innovative disruption in education and language learning. Members of our team have spent the last year securing our distribution channels and building our sales pipeline across Latin America which we believe will be even stronger in 2016. The Pacific Alliance countries (Mexico, Colombia, Chile and Peru have a combined population of 206 million and US$3.4 trillion GDP) in particular, offer an interesting opportunity in that they have a high GDP per capita, share a common language and have some uniformity across educational systems. Not to mention, possess a pervasive and ubiquitous penetration of both social and mobile technologies. Lingo Media already has contracts in Colombia, Peru and Mexico and recently announced a multimillion-dollar language learning software development contract in Colombia. eDistribution has selected ELL Technologies to provide a full suite of digital education resources to the National Training Service (SENA), a Colombian national public institution under the Ministry of Labour focused on the development of education in order to foster employment. We are very excited to deliver the digital learning content and user experience to Latin America’s leading educational institute, positively impacting language education and employment opportunities in Colombia and throughout Latin America. “In the context of Colombia, SENA aims at the improvement of foreign language levels of the Colombian people and SENA’s bilingualism project is particularly important since it has become necessary to boost both the quality and the competence of our learners. Finally, the use of digital content has become SENA’s benchmark in the implementation of best practices in the teaching and learning of foreign languages,” stated Mario Javier Rincon Triana, special and institutional project co-ordinator for SENA. The future prosperity of our global economy depends on our ability to recognize our shared responsibility in providing quality education and act with new energy to invest in its provision in emerging market economies and the developing world – this is our vision, this is our mission and this is our purpose.